Yep. You were waiting for him and you got him. 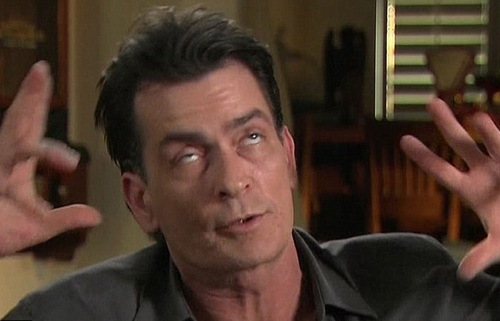 Charlie Sheen is so off the beaten path that he scares me. Charlie is totally insane. 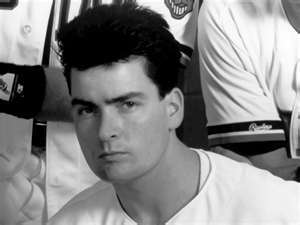 His early career was awesome. 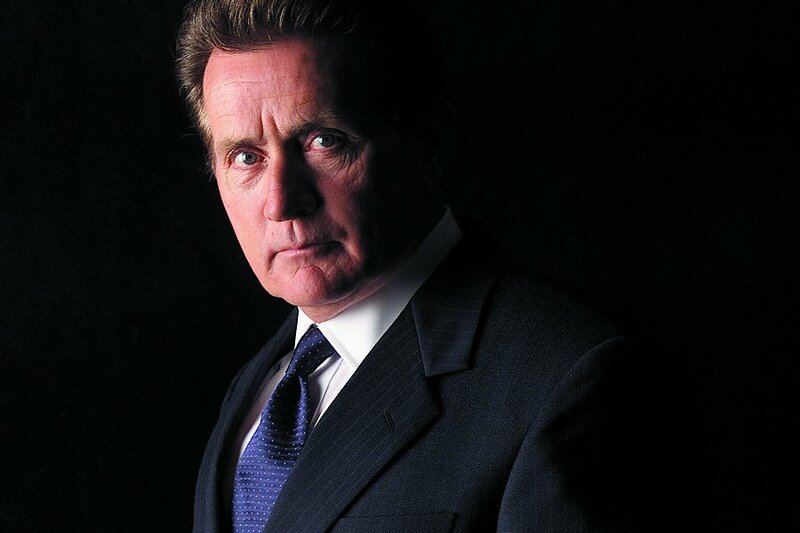 His father, Martin Sheen, was his Hollywood connection. Apparently all the men in that family are beautiful. Anyhoo. The movie that catapulted the 21-year-old Charlie, playing the lead, into major stardom was Platoon, directed by Oliver Stone. He stated on an interview with Dateline NBC that over night he was offered the universe in Hollywood, meaning money, fame, women, the usual perks that come with success. To see the Dateline Interview click here. This is where it gets tawdry (and weird). “My Violent Torpedo of Truth/Defeat is Not An Option”. Tickets sold out in 18 minutes, a TicketMaster record. Phew. I’m exhausted just documenting this stuff. Wonder how Charlie keeps up (wink). Here’s how his show did. Why do I declare Charlie a wash up? Simple. He is completely insane and it’s unlikely Charlie will ever work in Hollywood again. Well, maybe. If a producer and director can stand a working relationship with the bizarre star just to guarantee ratings or ticket sales at the box office, it might happen. He could always move where no one else has ever heard of him. 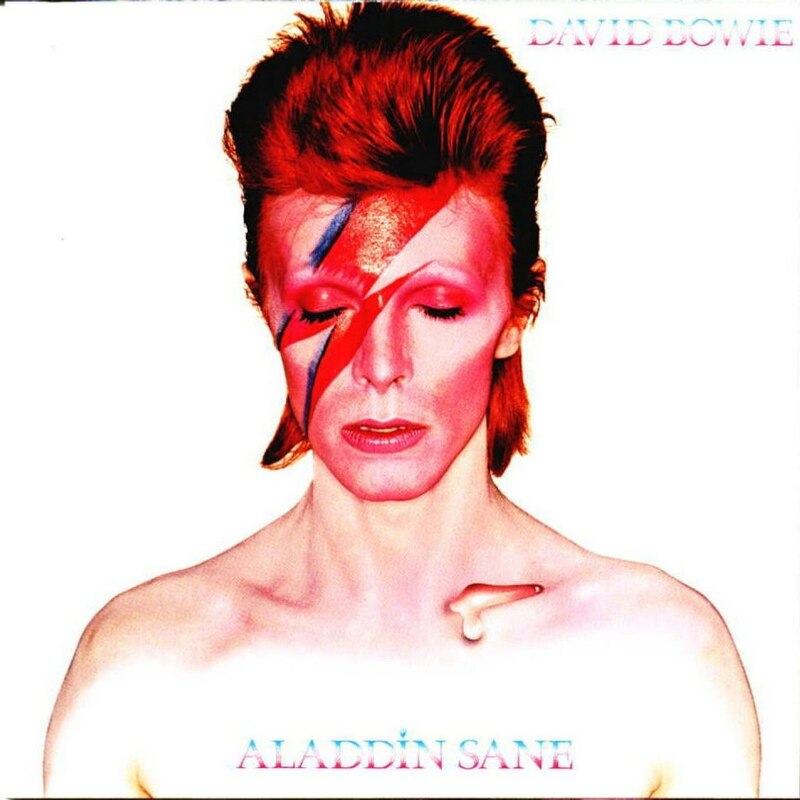 Is there life on Mars (click for a link to the original tune)? 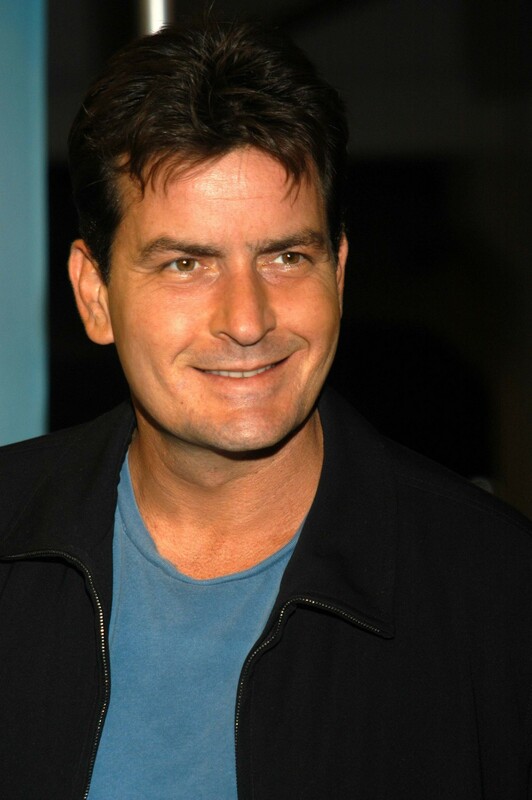 To follow the Charlie Sheen, Wizard of Oz, on Twitter click here. This entry was posted in Celebrities Who Bottomed Out and tagged Charlie Harper, Charlie Sheen, Dateline NBC, David Bowie, Emilio Estevez, Guinness World Record, is there life on mars, Martin Sheen, Oliver Stone, TicketMaster. Bookmark the permalink. I should not admit this, but I don’t dislike Charlie. Somehow, the beheading threat doesn’t stick with me as much as the rest of his fantastic odyssey. I figure he’s got to have a good heart if he went so far as to report a possible authentic snuff film to the authorities. Also, he offered to help out Lindsay Lohan. And he would have provided such wonderful help.